On Thursday 20th November, Jubilee Hall Trust’s CEO, Phil Rumbelow, and Operations Director, Jon Giles, were invited to a VIP reception at the Speaker’s House in Parliament to help celebrate Social Enterprise Day. 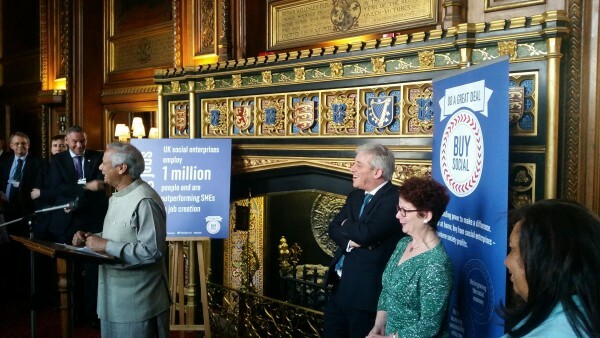 The event was part of Global Enterprise Week and was hosted by Mr Speaker, John Bercow and The Lord Speaker, Baroness D’Souza and featured a speech from Social Entrepreneur and Nobel Laureate, Professor Yunus. The Houses of Parliament have been outsourcing contracts for some time and are committed to ‘Buy Social’ wherever possible. Jubilee Hall Trust have been managing the Westminster Gym since 1999. To add to the good news, the Trust underwent an Investors in People (IIP) review in the same week and was successfully re-accredited as an IIP employer. An independent assessor interviewed a random sample of 17 staff across the four sites and found some excellent examples of high-quality working practices.